Ugly Christmas sweaters are not just for Bill Cosby anymore! Ugly, Funny and goofy Christmas Sweaters are popular once again and they are excited to offer one of the hottest trends for the holidays! 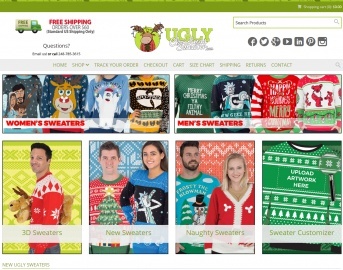 Click a Coupon or click Start Shopping to earn 8% Cash Back at Ugly Christmas Sweater.